This model is made from 24 SLSL units connected using the edge to edge method. 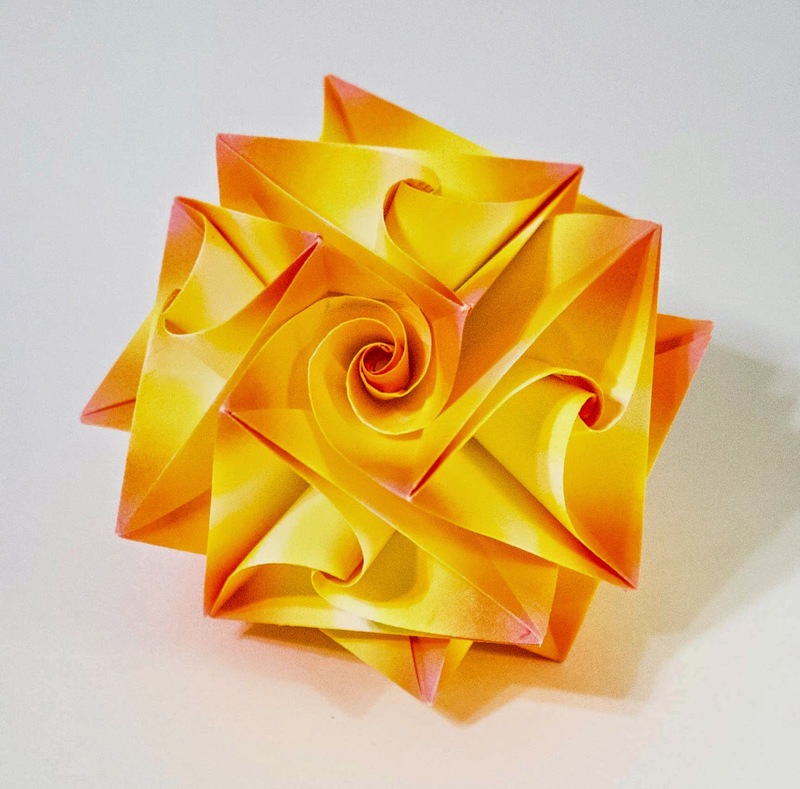 The diagrams can be found in the book Origami & Mathematics, Twirl Kusudamas 2 by Krystyna Burczyk. I originally purchased my copy from OrigamiUSA.org, but I see now they are out of copies. You can still pick it up from Origami-Shop.com if you are willing to pay the international postage. Each unit is made from 3 x 3 Floral Colored Origami paper, purchased from Kim's Crane online. 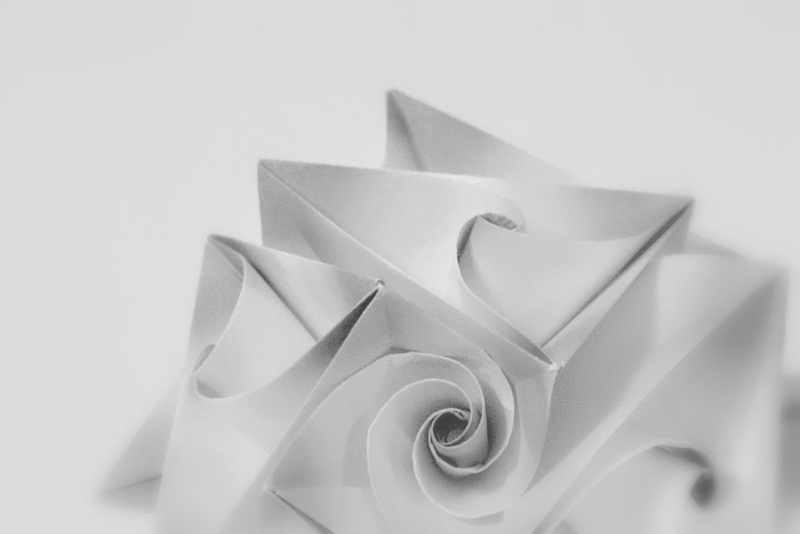 The folds are very simple. The construction was challenging at first, but got easier once I got the hang of it.